Your liver helps flush toxins from your body, and if you eat a healthy diet, it shouldn’t need any extra help. Few people eat a high-quality diet consistently, though. If you are one of them, you may want to consider a lemon liver detox. According to naturalhealthezine.com, “Lemon juice aids your liver in flushing out unwanted toxins which may be in the process of absorbing into your body.” Less harsh than a lemon detox diet, the lemon water detox plan is a simple way to give your liver a little extra ammunition. Wash a lemon thoroughly, and pat it dry with a paper towel or clean dish cloth. Cut the lemon in half crosswise and remove the seeds. Squeeze the lemon juice into a cup of hot water. The proportions don’t have to be exact; any large coffee mug will do. Add some sugar, honey or other natural sweetener if you find the plain lemon and water mixture too tart. 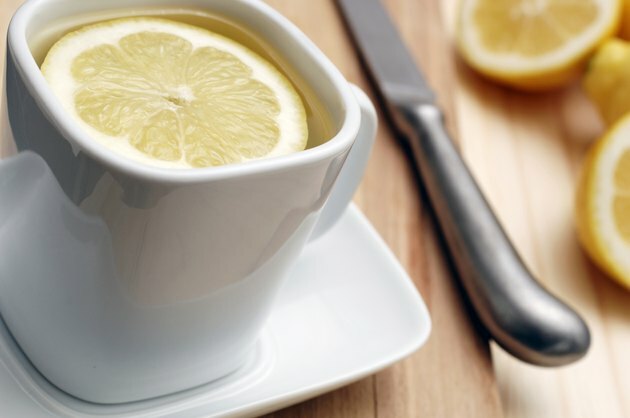 Have a second glass of sweetened, hot lemon water before dinner to help aid in digestion. Dilute the lemon juice with more water, or stop drinking it altogether if you experience stomach discomfort, as some people simply cannot handle the acidity of very strong, fresh lemon juice.